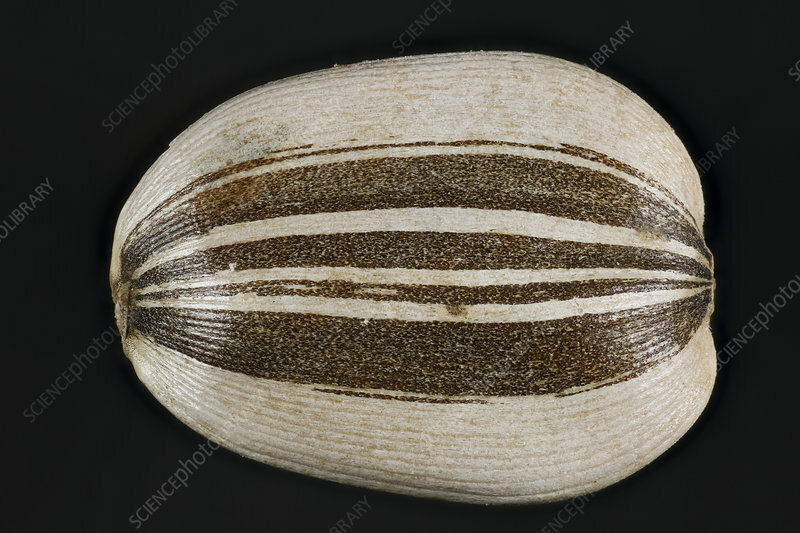 A single Sunflower seed, (Helianthus annuus). This is the giant Russian variety of sunflower. Sunflowers are grown for food, as an oil crop, and as ornamental plants and cut flowers.